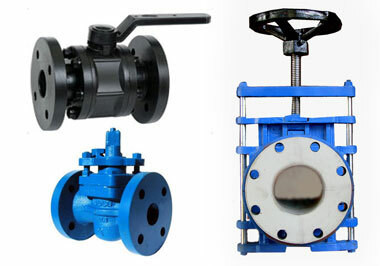 We supply below Industrial valves and spare as per your requirements, please email us for more information. Gate Valves, mainly for on/off control, with low pressure drop. Globe Valves, good for regulating flow. Knife Gate Valves, similar to a gate valve, but usually more compact. Often used for slurries or powders on/off control. Butterfly Valves, for flow regulation in large pipe diameters. Check Valves, allows the fluid to pass in one direction only. Plug Valves, slim valve for on/off control but with some pressure drop. Customise Valves, we design, fabricate and rubber line as per your requirement.